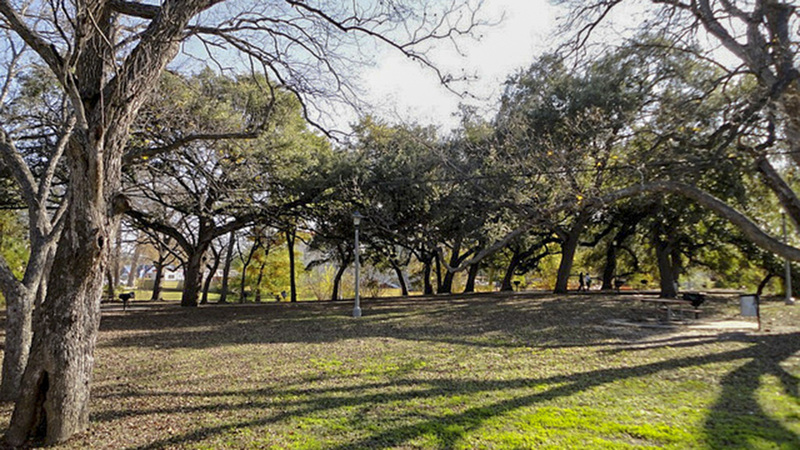 Situated just below the headwaters of the San Antonio River, the site of Brackenridge Park has been a gathering place since Native Americans lived in the area. In the sixteenth century, Spanish settlers established a sophisticated water system there, remnants of which remain today. 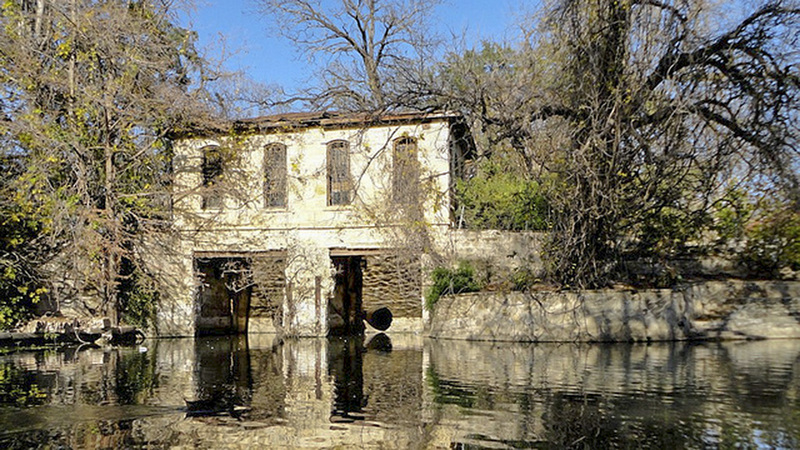 In 1899 George W. Brackenridge of the San Antonio Water Works Company donated 199 acres to the city for recreational use. 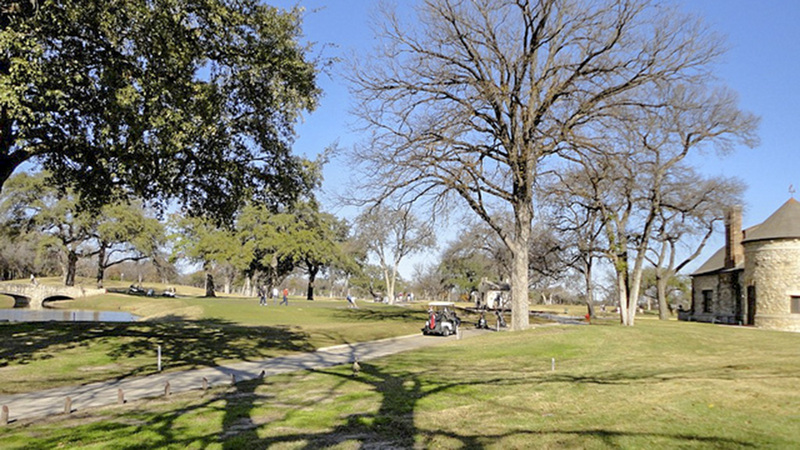 The park’s first improvements were led by City Park Commissioner Ludwig Mahnke (a friend of Brackenridge who had encouraged him to donate the land), who established a wild-game preserve and developed curvilinear paths and drives that wound through the trees along the river. 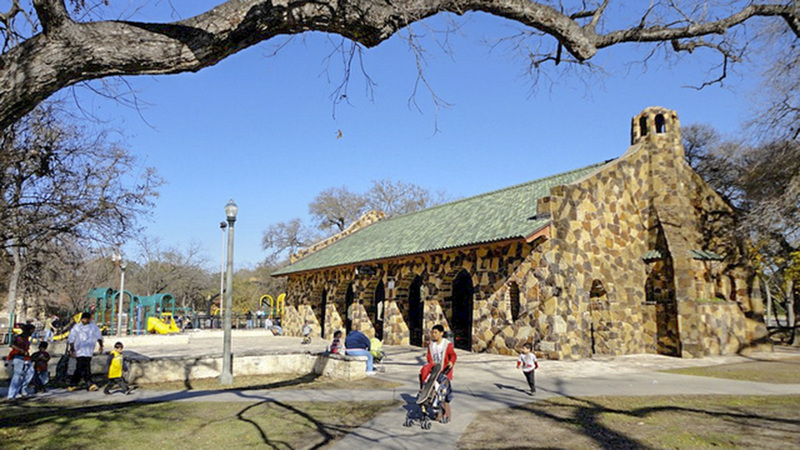 Beginning in 1915, Commissioner Ray Lambert used local rough-cut stone for walls and structures throughout the park, giving it a distinctly rustic character. 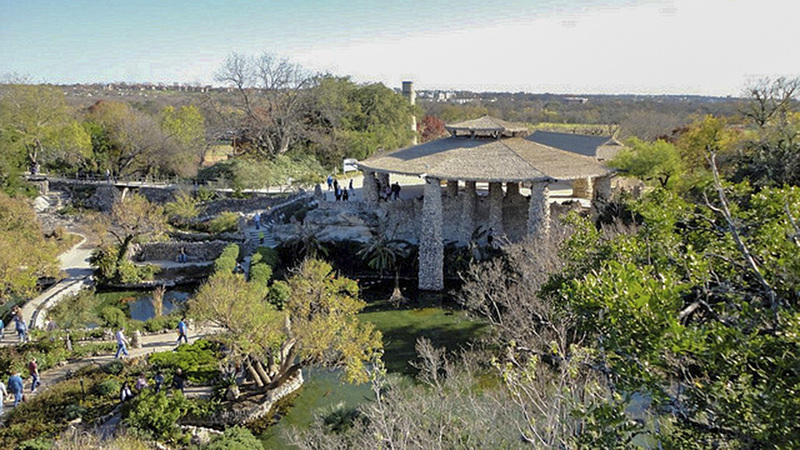 Lambert converted a former rock quarry to the Japanese Tea Garden, and transformed the wild game preserve into the 35-acre San Antonio Zoo. 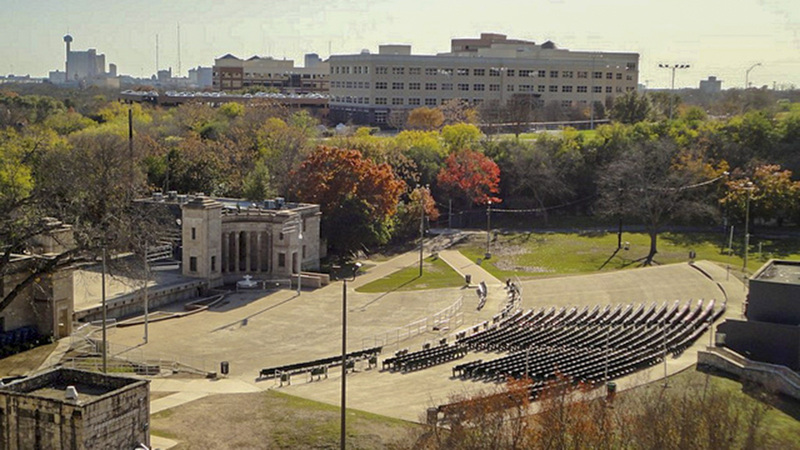 He is also responsible for the oldest municipal golf course in Texas, designed in 1916 by A. W. Tillinghast and John Colligan; the Sunken Garden Theater, carved out of the quarry in the 1930s; the Witte Museum, opened in 1926; and the Joske Pavilion. 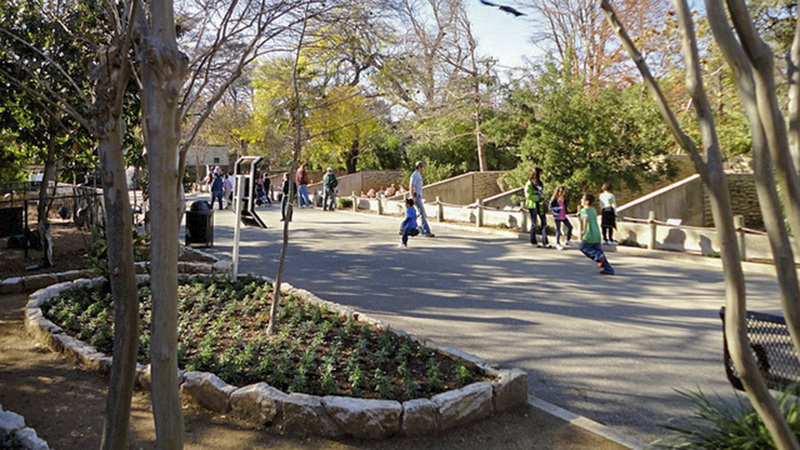 The 500-acre park is San Antonio’s largest, with roughly equal parts woodland, zoo, and other facilities. Its rustic character remains intact, with tree-lined paths, places for picnicking, playgrounds and athletic fields, and a 3.5-mile miniature railway. 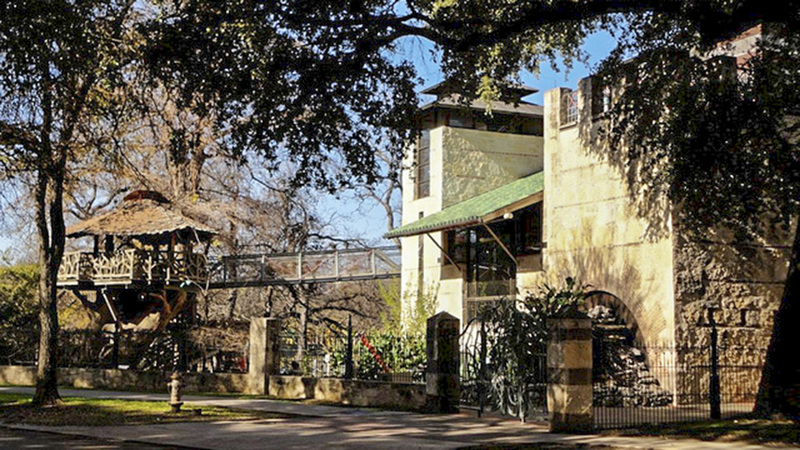 The Japanese Tea Garden, a bridge designed by Dionicio Rodriguez, and the Water Works Pump Station are individually listed in the National Register of Historic Places.